In this interactive colouring and activity book, Marion Deuchars takes the broad canvas of ART and fills it with drawings and activities that let you discover what art can be, how it can be made, what it can mean for you and what it has meant for people through the ages. 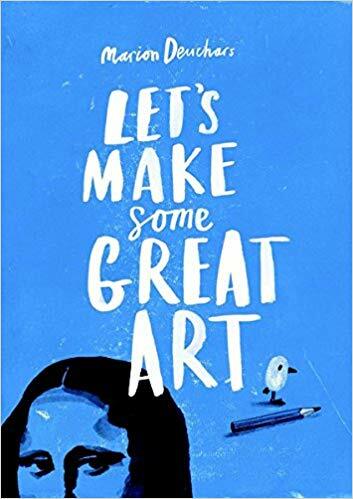 This book is packed with stimulating ideas to spark your creative imagination. You can complete the Mona Lisa's smile, or design your own Jackson Pollock-inspired work with a marble, a tray, some paint and paper. There are step-by-step instructions for how to draw a bird and how to give it an expression, as well a foolproof method for drawing a bicycle. Aimed at children aged eight and older, the emphasis is on fun and making the creation of art a big part of the way you express yourself.